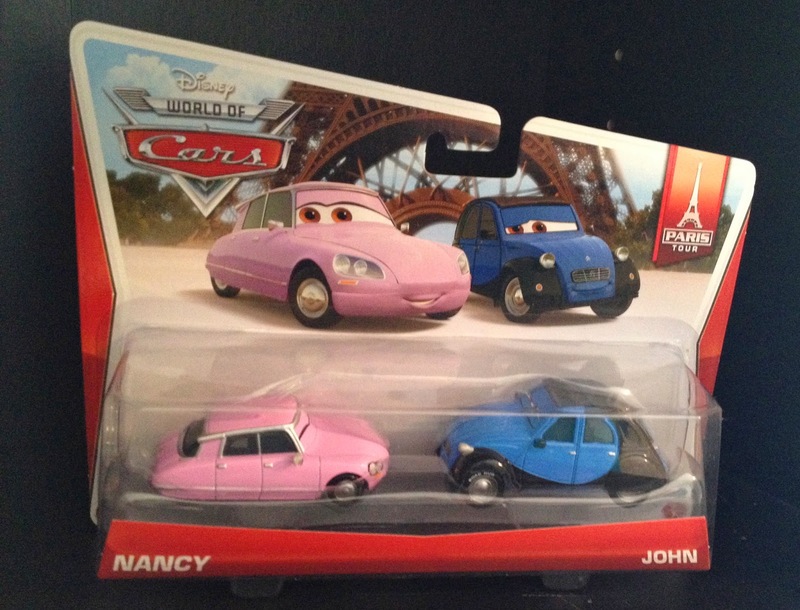 One of the latest Cars 2 "Movie Moments" 2-packs from Mattel, here we have John and Nancy! These two characters are briefly seen in the film during the Paris arrival montage, kissing on a bridge. What makes this set extra cool (and a must have for big Pixar fans) is that these cars are based on/pay homage to director John Lasseter and his wife Nancy. John also has another "cameo" as a car in the film as well, John Lassetire. 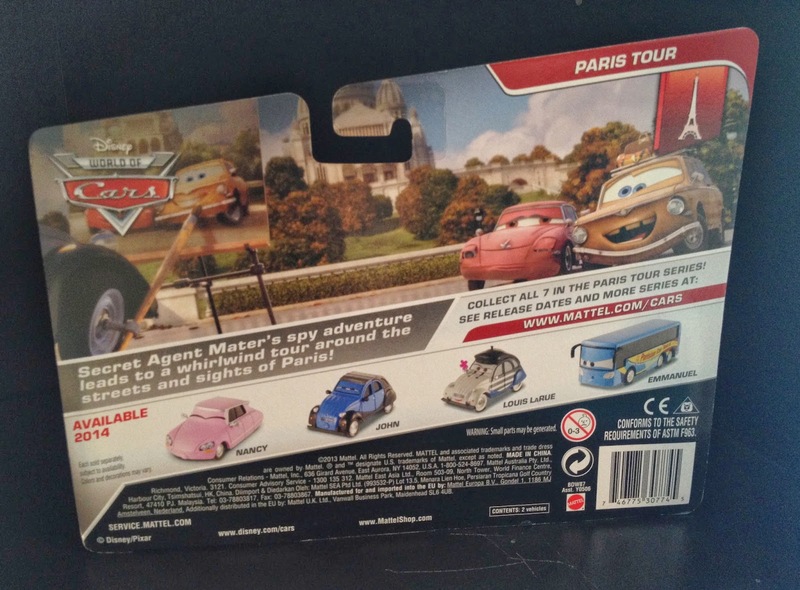 I love how Mattel even designed these toy versions of the cars to have kissing expressions (eyes closed) and puckered lips (it's hard to tell from these pictures but you can notice it if you look close enough). Such an awesome detail and great for display! Yup, super cool set for sure! But...do you know why they made that set for John and Nancy? On the Cars 2 Directors Commentary, John mentions that he designed those two characters in the movie because John and Nancy kiss on the middle of that bridge (Pont des Arts Bridge) every time they are in Paris together.